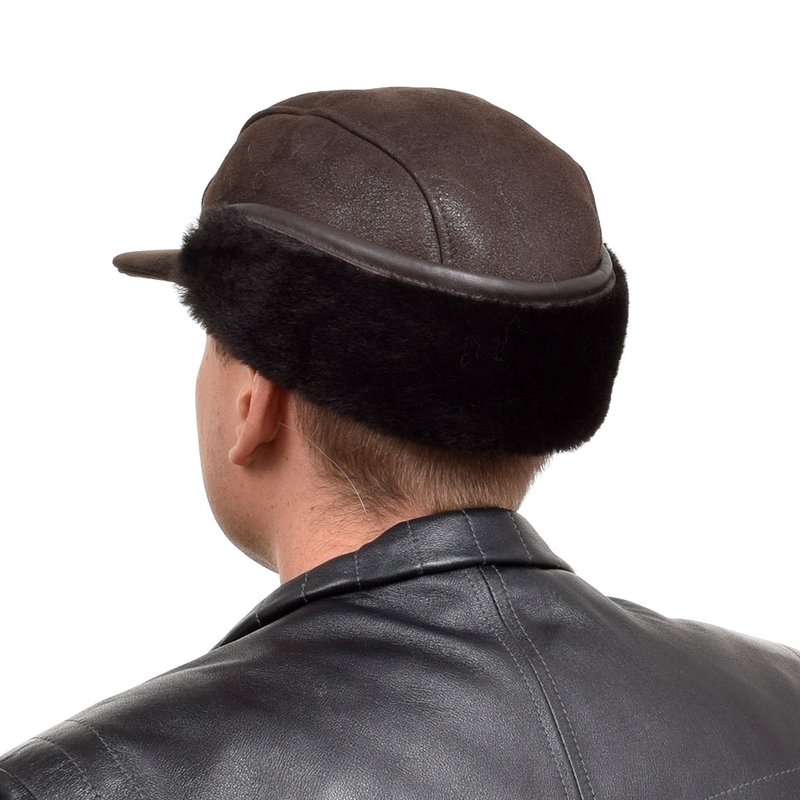 Warm and stylish cap made of high quality natural dark brown sheepskin. 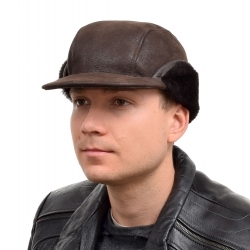 Men's sheepskin cap can be easily transformed. 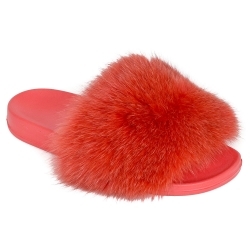 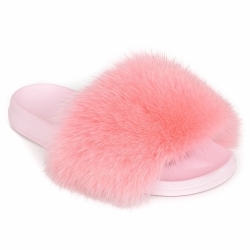 The ear flap can be worn up or down. 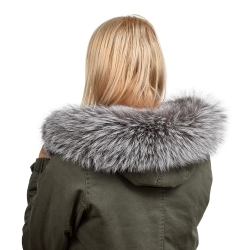 The flap after unfolding perfectly covers the neck and ears. 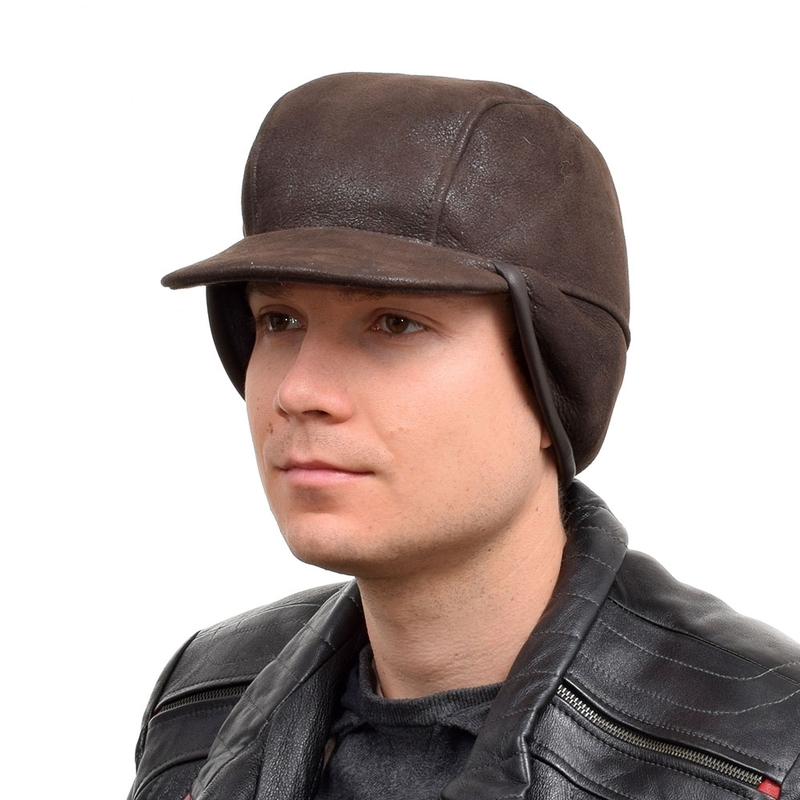 Comfortable and lightweight bomber cap fits well to the head. 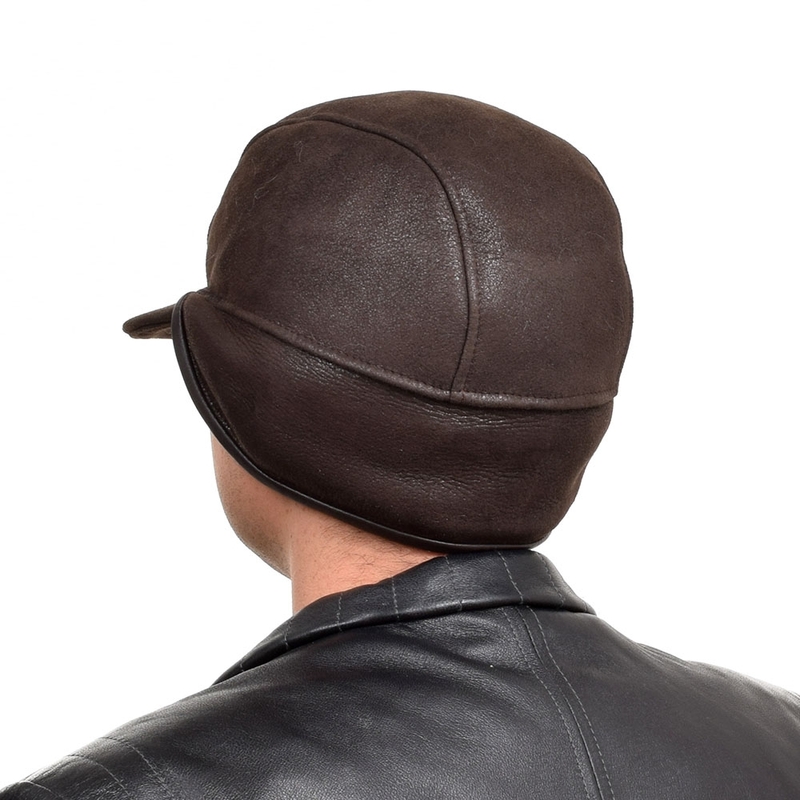 The shearling hat is an excellent choice to be worn on cold and windy days.